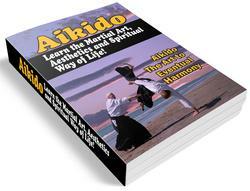 Over the last few years, the Noble Warrior has reappeared in Aikido writings and teachings. The ideal of the Noble Warrior, pledged to serve and protect, is found throughout the world, in all places, in all times. Always the problem has been how to keep the Noble Warrior noble. The Noble Warrior protects loved ones from hunger, predators, or from each other, carving out a place of order, safety, and decency. 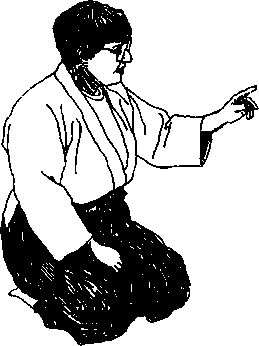 "Budo" said Ueshiba, "is Love." But those with the power to kill face the temptation to exchange the power of love for the love of power. They start as fanners and parents protecting family and fields. They end as surly self-important bureaucrats with swords. For some, the only reason to stay on the upright path may be shame, fear of punishment, or doctrine. If these are removed, what reason is left? This problem is particularly poignant in current society, much of which preaches a doctrine of "anything goes" and there are no consequences. The very concept of sin or of wrongdoing has fallen badly out of popularity. Ki testing offers a practical and testable rationale — that lives spent preying upon others, lives of spite, cynicism, and hatred, are weaker than lives of cooperation, teamwork, kindness, blessing, and joy. Hate another and it is you who are damaged. Bless another and it is you who are blessed and healed.